CULT TO OUR DARKEST PAST: Legendary Hungarian Black Metallers TORMENTOR reunites! Legendary Hungarian Black Metallers TORMENTOR reunites! 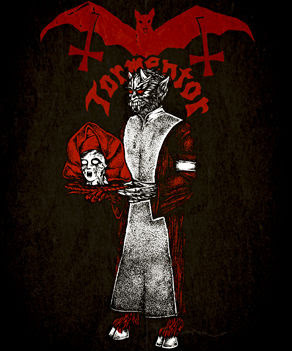 Legendary and cult Hungarian black metallers TORMENTOR reunites! The band announced that they return from the dead and will play their first show at the Beyond The Gates festival next year (August 23 - 25, 2018) in Bergen, Norway. The band also announced through their facebook page that both classics, 1987 demo "Seventh Day Of Doom" and 1989 debut album "Anno Domini", will officially be re-released on black vinyl and eventually on picture disc in late Autumn/Winter 2017. Ave!